It has been a busy two weeks for those of us in the blockchain game space. September kicked off in rainy Finland for Blockchain Gamer Connects Helsinki 2018, followed two weeks later by the gloriously sunny Blockchain Game Summit 2018 in Lyon, France. But what’s become clear during this time is while the wider cryptocurrency market has demonstrated increasing downwards volatility, the momentum around blockchain games remains relentlessly upwards, with more and more companies entering the space. During the next 12 months, I do not believe the blockchain game sector will be halted by the wider issues of cryptocurrency. Not all these projects will be successful, of course. Indeed, due to the plunging price of Ether and associated investor sentiment, many now may not get the funding they require to even start up. Certainly ICOs are being pushed into 2019 and focusing on traditional VCs, not public raises. This is not to say the blockchain game sector isn’t experiencing significant challenges, however. Scale, particularly in terms of active players and users, remains a key concern. Indeed, it could be argued the current de facto games category of distributed apps running on Ethereum (aka Dapps) has actually declined during 2018. Sure, there are many more games – over 500 – but in terms of the overall volume of active players, today’s total is significantly reduced in comparison to peak user numbers in late 2017 when CryptoKitties launched. So for all the continued discussion of whether or not CryptoKitties should be viewed as a game (or a ‘game’ etc) Axiom Zen/Dapper Labs’ release remains the high point of a sector with many, many lows, especially when it comes to basic user experience. Hence, it was no surprise one of the best talks at the Blockchain Game Summit was CryptoKitties’ UX designer Amy Ngai, who railed against developers who put the “needs of the technology” over the “needs of the players”. For, as she pointed out, small changes can have a big impact: adding the network status prompt into CryptoKitties immediately made it clear to users what’s going on on the Ethereum blockchain for example. Yet more can and needs to be done, especially when it comes to highly confusing issues such as gas fees and wallet accessibility. Even simple enabling solutions such as Metamask have become significant friction. In this context, a recurring trend expressed during the two conferences was hiding the underlying complexity of some core blockchain concepts, notably wallets, from any product aimed at a general audience. We never use the word blockchain because my users don’t know what blockchain is. 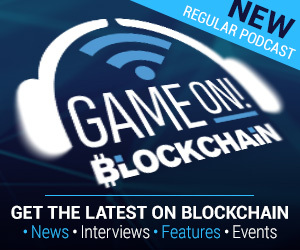 Similarly Casassovici’s position of the importance of wallets has pivoted from thinking it’s a vital part of blockchain UX – as expressed in May at Blockchain Gamer Connects San Francisco – to his now terse comment “I don’t believe in wallets”. For example, Azarus’ wallet is embedded into its software, offering no option to transfer out tokens. Blockchain game projects such as OPSkins’ WAX marketplace are taking a similar ‘locked down’ approach. Another related UX trend is the ability to enable users to buy platform tokens directly using their credit cards rather than having to transfer in Ether. One surprise in this context has been the aggressive adoption of blockchain by mobile game developers. It’s always been assumed the restrictive – and potentially ever-changing – rules of Apple and Google’s app stores would hinder the ability of mobile game developers to adopt blockchain. But with the F2P mobile games market almost impossible for new games and companies to break into, mobile game developers are finding ingenious ways of working around those app store rules. Examples include Reality Gaming’s Reality Clash, Pixowl’s The Sandbox and Stick Sports’ Stick Cricket while other titles such as Neon District, Hash Rush, Zombie Battleground and even CrypoKitties itself are planning to be cross-platform, including mobile. Typically, the way mobile devs are dealing with this app store issue is ensuring their games use the standard IAP model so Apple and Google get their 30%, while also having a separate companion app or website that enables blockchain items to be traded and transferred into the mobile game. It’s certainly not an ideal solution, and Apple and/or Google could change their rules to limit such grey areas, but mobile developers seem convinced they can get the model to work although none to-date have done so. Aside from what individual developers are up to, however, it was great to see how this vibrant, yet still small community is coming together, both informally and formally. A key development was the creation and launch of the Blockchain Game Alliance. Reading as a Who’s Who of blockchain game and game service developers, the launch partners included B2Expand (who organised the Blockchain Games Summit), Alto.io, EverdreamSoft, Enjin, Ubisoft, Gimli and Ultra as well as Ethereum community outfit ConsenSys and super consultant Alex Amsel. 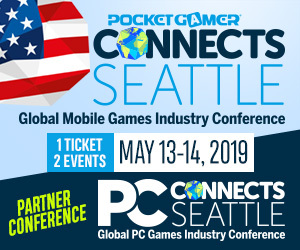 No doubt this group will expand in the coming days too, hopefully providing this nascent sector with a united voice when it comes to everything from best practices and standards to interacting with the wider games market, and providing a sounding board for companies to hone their strategy. For, stripping away all the tech talk, if blockchain games (and services) are to fulfil their potential they must, in the words of Ubisoft’s Blockchain Initiative Manager Nicolas Pouard, create “new experiences” for gamers to enjoy. In that regard then, the biggest challenge the sector faces isn’t the value of Ether, gas fees or wallet accessibility but the vision to think beyond current games and grasp the magic of what blockchain gaming can – and should – be. And that means games and services driven and owned in a significant manner by their communities.